If you plan to go a week or more without using your digital camera, it's important that you learn how to store your digital camera safely. If you don't store the camera properly, you could cause damage to the camera during its period of inactivity. And using good storage techniques will ensure your camera will be ready to go when you need it again. 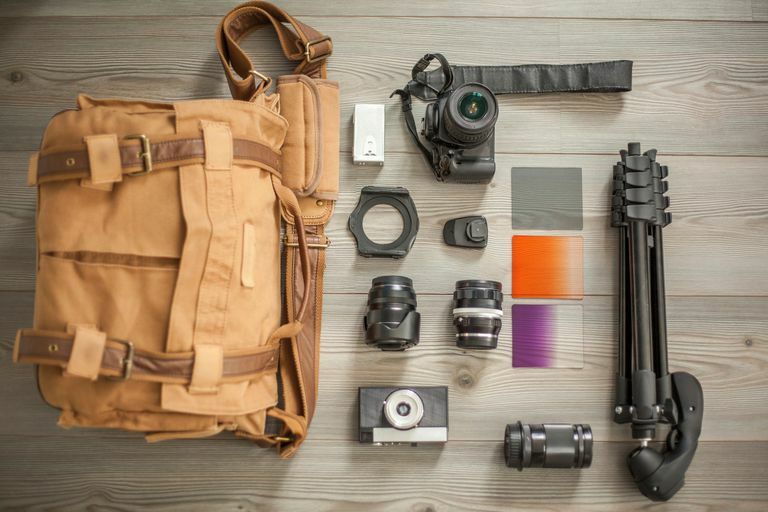 Any time you know you will not use the camera for at least a week, consider using these tips to learn how to store your digital camera safely. When storing your digital camera, avoid placing the camera near an electronic device that generates a magnetic field. Long-term exposure to a strong magnetic field could damage the camera's LCD or its other electronic components. If you're going to store the camera for quite a while, be sure to store it in an area where it won't be subjected to extreme temperature fluctuations. Extreme heat can damage the camera case over time, while extreme cold could damage the camera's LCD over time. Storing the camera in an extremely damp location could damage the camera's components over time. You could end up with humidity inside the lens, for example, which could lead to condensation inside the camera, which may ruin your photos and damage the internal electronics of the camera. Over time, you could end up with mildew inside the camera as well. Don't store the camera in a location where it will sit in bright sunlight for extended periods of time. Direct sun, and the subsequent heat, could damage the camera case over time. Now, if you know it will be more than a month before you use your digital camera again, try these additional tips for storing your digital camera safely. If you need to store the camera for more than a month, consider placing the camera in a sealed plastic bag with a moisture-absorbing desiccant, just to provide additional protection against humidity. Or you should be able to store it safely inside the camera bag you use to carry the camera when in use. Just be sure to store the bag in a dry place where you won't have to worry about someone bumping into it or stepping on it. It's a good idea to remove the battery and memory card from your camera when you don't plan to use it for a month or more. If you own a DSLR camera, it's a good idea to remove the interchangeable lens and use the camera's lens caps and guards. Some manufacturers recommend that you turn on the camera about once a month, just to keep the camera's electronics fresh. Check your camera's user guide for any specific recommendations on how to store your digital camera during a period of inactivity. Learning how to store your digital camera when you know you won't be using it for a week or more is important for preventing damage, while also keeping the camera ready to use the next time you need it. Hopefully, these tips will help you avoid inadvertent damage to your camera during a period of inactivity.